3 Pugs Blackcurrant Gin is a popular Craft Gin available from 31dover.com in 50cl to buy online. Visit 31dover.com for the best price for 50cl of 3 Pugs Blackcurrant Gin or compare prices on our other Craft Gin products. Created by a husband and wife duo from Orford, in honour of their very own 3 pugs, Pepsi, Tutu and Mojo. A tasty London dry with added Blackberry juice resulting in a powerful sweet and spicy gin - distilled in their garden distillery and presented in their signature 'drunken bottles' What initially began as a hobby for two ginthusiasts has taken on a life of its own, and now they count the German royal family as fans of the brand! Where to buy 3 Pugs Blackcurrant Gin ? 3 Pugs Blackcurrant Gin Supermarkets & Stockists. 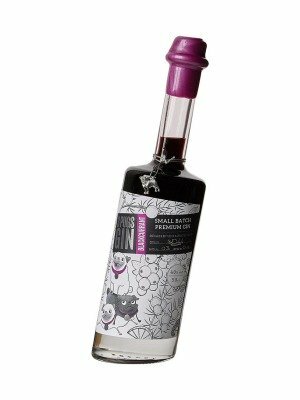 You can buy 3 Pugs Blackcurrant Gin online in most retailers and find it in the Craft Gin aisle in supermarkets but we found the best deals online for 3 Pugs Blackcurrant Gin in 31dover.com, DrinkSupermarket.com, TheDrinkShop, and others. Compare the current price of 3 Pugs Blackcurrant Gin in 50cl size in the table of offers below. Simply click on the button to order 3 Pugs Blackcurrant Gin online now.